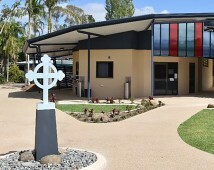 The Parents & Friends Association is an important link at Emmaus College. The association acts in a partnership with the College to allow a forum for parents to learn about and discuss issues within Emmaus and be informed about issues that affect Catholic school students across the state in areas such as funding and curriculum. Parents and Friends is an active group which provides many resources for the College, as well as an opportunity for the Principal to gauge parental opinion on a range of topics. You can view a presentation of our recent contributions under ‘More information’. The group meets on the third Tuesday of each month at 5:30 p.m. If you wish to contact the P & F please email paf@emmaus.qld.edu.au. 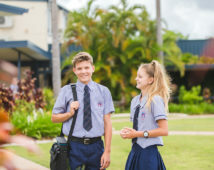 The Federation wants to connect with as many parents in Catholic Schools as possible. 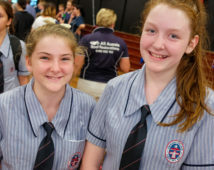 The Emmaus College P&F Association is affiliated with the Federation. Parents are encouraged to subscribe to Parent Chatter, a regular communication from the Federation by accessing their website – www.pandf.org.au. Can you do ‘Just One Thing’ for Emmaus? 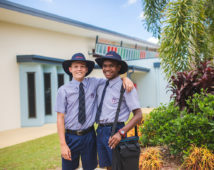 The ‘Just One Thing’ program is an initiative of the Queensland Parents and Friends Associations’ Federation, and aims to get each parent involved in at least one activity at their child’s school. Parents can volunteer in a variety of ways, and this is a great way to meet staff and other families at the College. Please download and complete the form below and return to community@emmaus.qld.edu.au.